The Volkswagen Tarok is making its North American debut at the New York Auto Show this week. And that’s a little unusual because the Brazilian pickup wasn’t really designed with us in mind. Volkswagen says it wants to “gauge market reaction” to the compact pickup. At 193.5 inches long, the Tarok concept is smaller than the Tanoak concept we saw at New York a year ago. That said, it’s still one of the largest vehicles on the MQB platform and it shares a few tricks in common with the Tanoak. Tricks like the folding back seats that allow the box to grow when cargo is more important than passenger volume. At 193.5 inches long and 72 inches wide, though, it is a little smaller than the 214.1×79.9-inch Tanoak concept. With a 9.2-inch infotainment system and a digital cockpit, the closer-to-production Tarok concept does at least have all the VW bells and whistles. 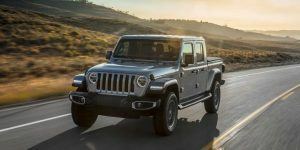 Under the hood, meanwhile, is a 1.4-liter turbo four that makes 147 hp and makes use of a 6-speed automatic transmission. 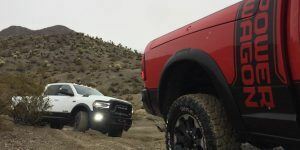 Despite the diminutive engine, VW still says it has a payload of 2,271 lbs — which is more than the Chevy Colorado’s 1,500 lbs payload capacity. 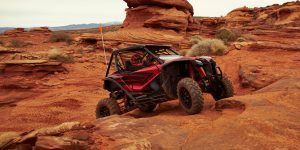 With 4Motion all-wheel-drive, it should manage the softer stuff pretty well, too. It has an approach angle of 23.8 degrees, a departure angle of 26.4 degrees, and a breakover angle of 22.1 degrees. 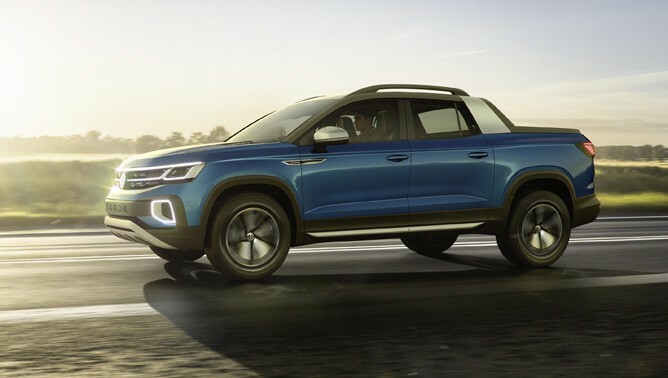 Again, as it stands, VW doesn’t seem sure about whether or not it will sell this vehicle in the U.S. More likely, it’s gauging how people react to a more realistic small pickup to see if a VW-badged pickup (probably on a Ford chassis) piques the interest of the American market.